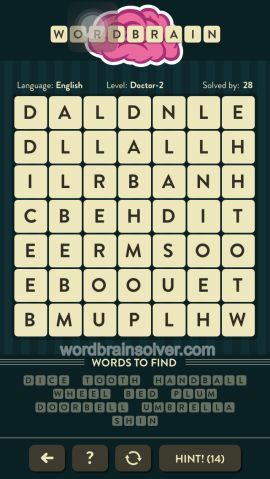 Wordbrain Doctor Level 2 Answers and Solutions. Why does yore letters not correspond correctly. My letters are different. I have the word “language” in my list of word ( confirmed using hints). It seems impossible to obtain a successful resolution. Anyone with the same problem? Thank you so much! I’ve been staring at this one for weeks. Couldn’t figure out how to get language.